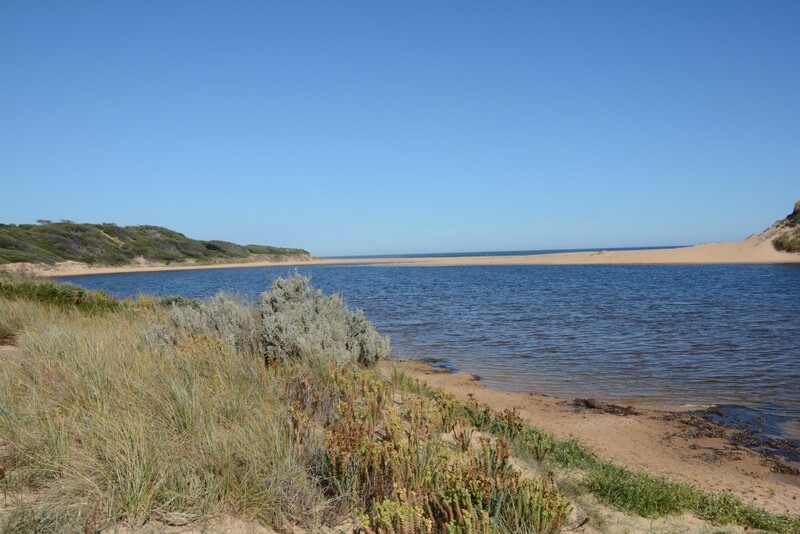 Why is the Powlett River estuary water level higher than usual? 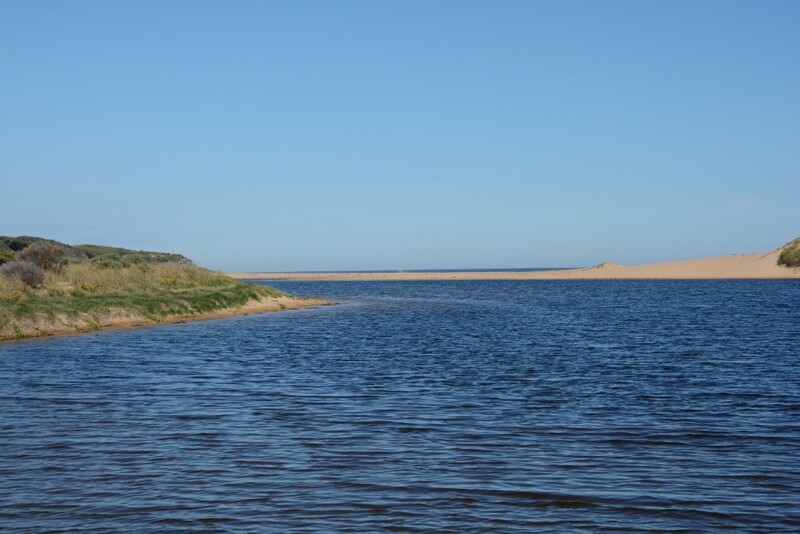 The water level is high because a sand bar has formed at the mouth of the estuary, blocking water from flowing out to sea and capturing all ocean water that flows over the sand bar into the estuary. 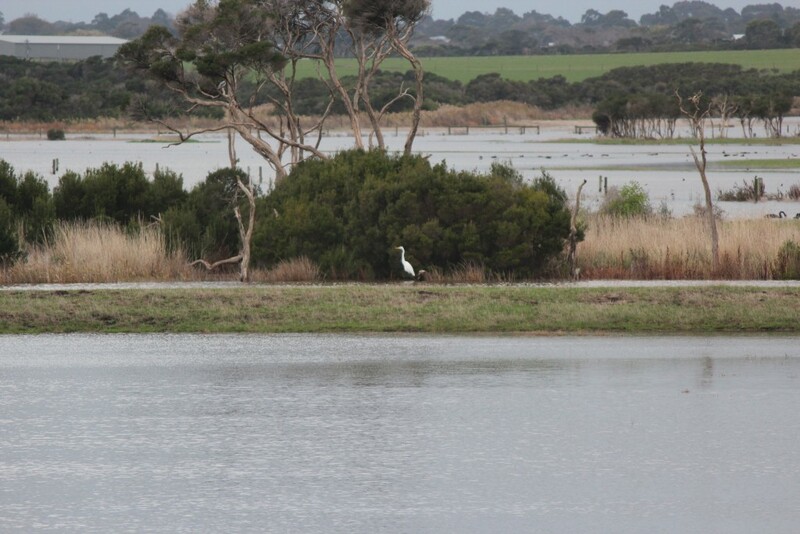 This causes water levels in the estuary to rise and inundate (i.e. 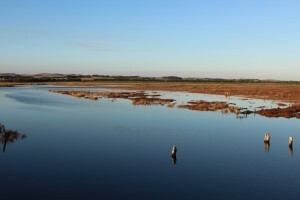 cover) the adjacent wetland environment. 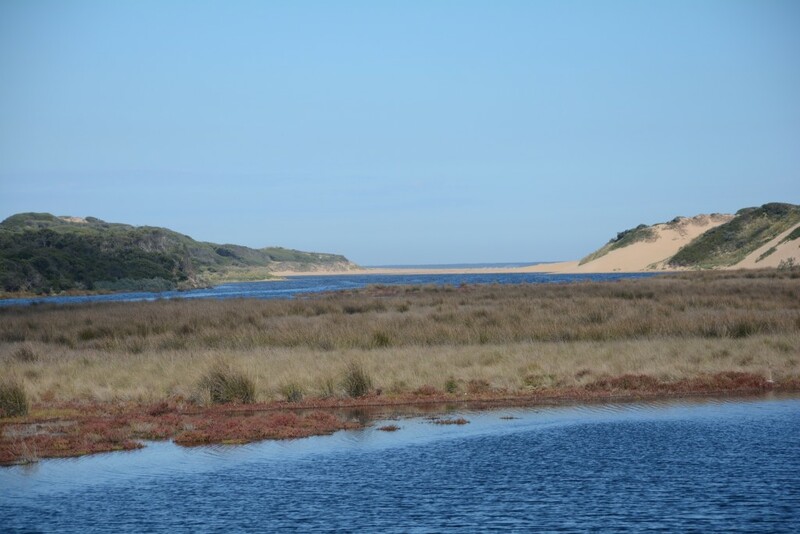 What created the sand bar at the estuary mouth? 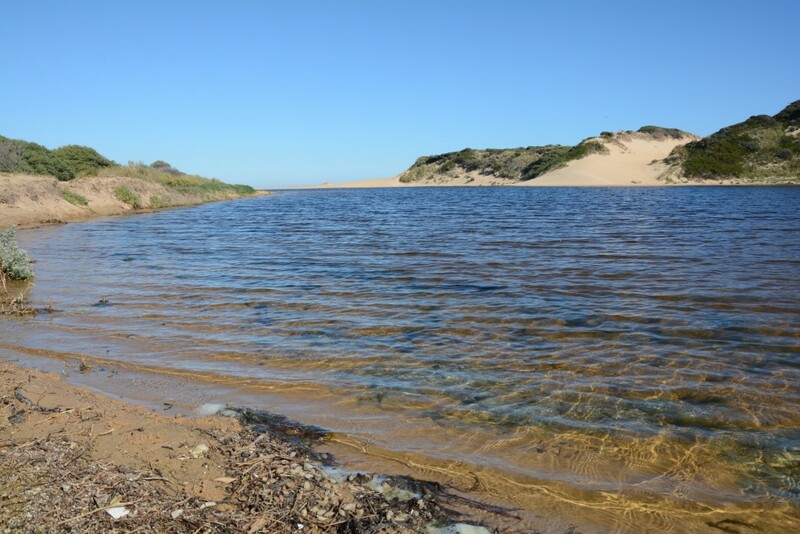 The sand bar developed due to prolonged low rainfall and river flows throughout winter and spring 2018 and summer 2018/19. Is this natural and how long will it last? 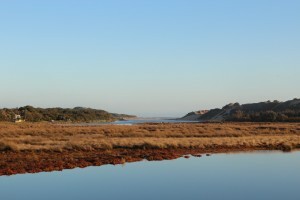 The Powlett River estuary is an intermittently closing estuary, which naturally closes its connection to the ocean, due to the development of a sand bar at the river mouth. 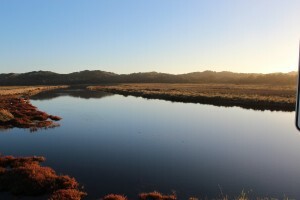 It is not known how often and for how long, estuary closures would have occurred prior to European settlement. Though since European settlement, closures have occurred at least once every seven years, usually between summer and winter. 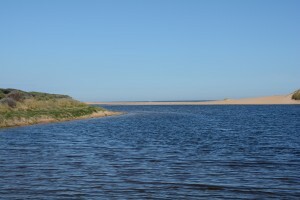 The estuary can remain closed for several months at a time, before naturally opening its connection to the ocean. Natural openings occur when high water levels and river flows cause the sand bar to break open and release the water out to sea. Why is the estuary mouth closure important? 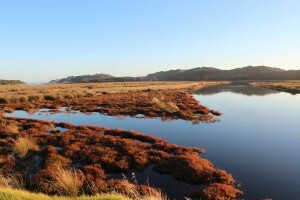 The closure of the estuary and the associated inundation is required to maintain the condition of the wetland that surrounds the estuary. 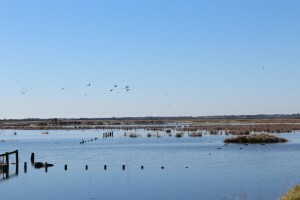 This wetland provides critical habitat for many species of fish, birds and invertebrates that seek food and shelter, some of which are listed as critically endangered. The majority of the wetland is only inundated during a closure event, which may only happen once every seven years. 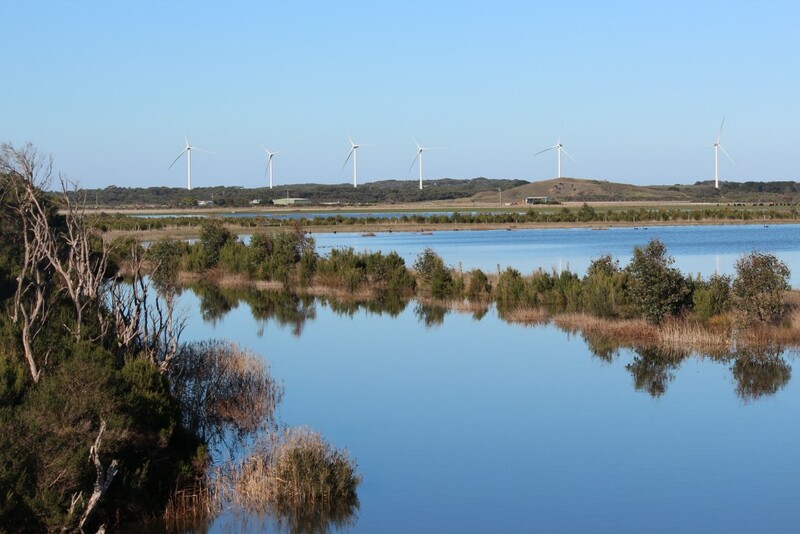 It is very important to let this natural process occur, otherwise the integrity of the surrounding wetland and the species it supports maybe jeopardised. What else is affected when the estuary mouth closes? As water levels increase during a closure, water proceeds to cover adjoining farmland, surrounding carparks and eventually the Mouth of Powlett Road east of the bridge. Making access to the Caravan Park, and private properties located on this side of the estuary difficult. 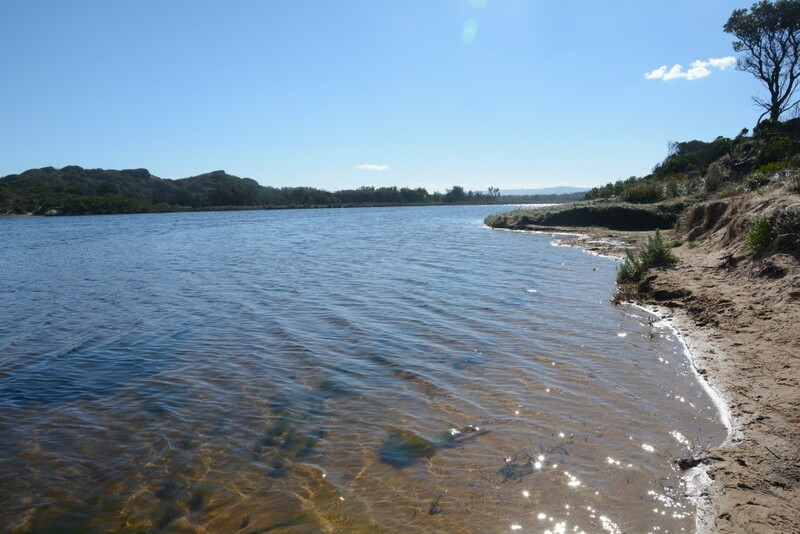 During a closure all of these things are taken into consideration, and appropriate measures are taken to ensure landholder and caravan park patron safety and access. 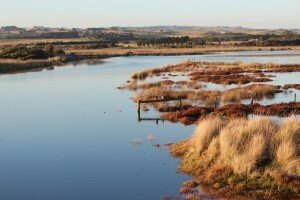 Will the estuary be artifically opened? An artificial estuary opening will only be considered if the impact of the inundation is assessed as a significant risk to the integrity of the estuary’s environmental, socio-economic or cultural values if it was to remain closed. 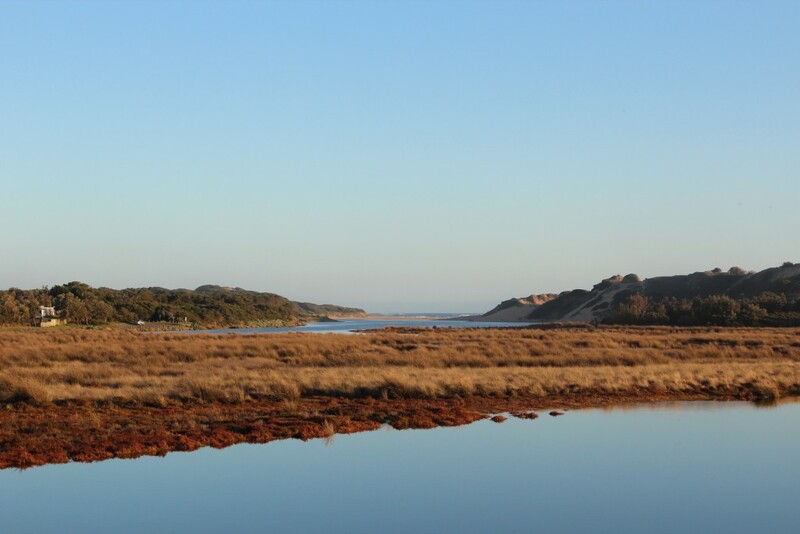 This risk assessment is undertaken by WGCMA and is informed by a decision tool called EEMSS: Estuary Entrance Management Support System. 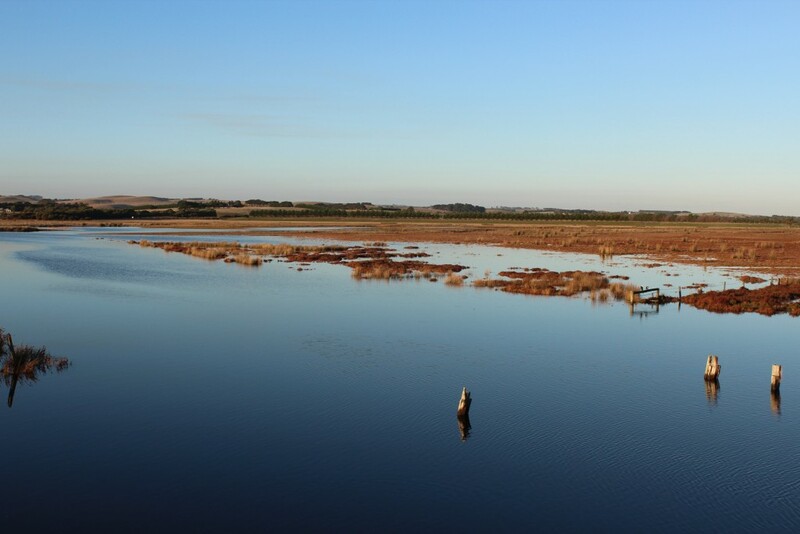 EEMSS generates risk ratings (insignificant, minor, moderate, major and extreme) for all known environmental, socio-economic and cultural values associated with the estuary at a given water level height and duration of inundation at that height. Risk ratings are given to each value under an opening or not opening scenario. 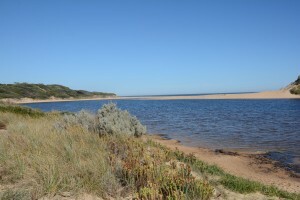 EEMSS was populated for the Powlett estuary by us with help from local landholders, community members and stakeholders. 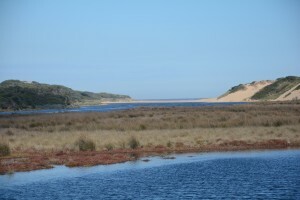 If it is decided that an artificial opening is needed based on a risk assessment, a feasibility assessment must be undertaken before the estuary can be opened. 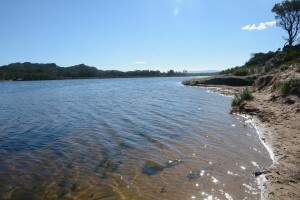 This involves assessing water quality, river flow, ocean conditions and access to the estuary mouth. If these conditions are not suitable, an opening will not take place, until they are. 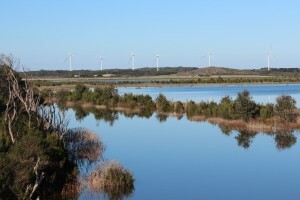 For example, in other parts of Victoria, artificial openings have occurred when water quality conditions were not suitable, causing extensive fish kills. This occurs when dissolved oxygen (DO) levels are low in the bottom waters of an estuary. Due to the low DO levels in the bottom waters, fish and other aquatic invertebrates survive in the oxygenated top waters, which are the first to be released during an artificial opening. This leaves fish and aquatic invertebrates stranded in the low oxygen bottom waters, where they suffocate and die. Who is responsible for managing an estuary closure event? 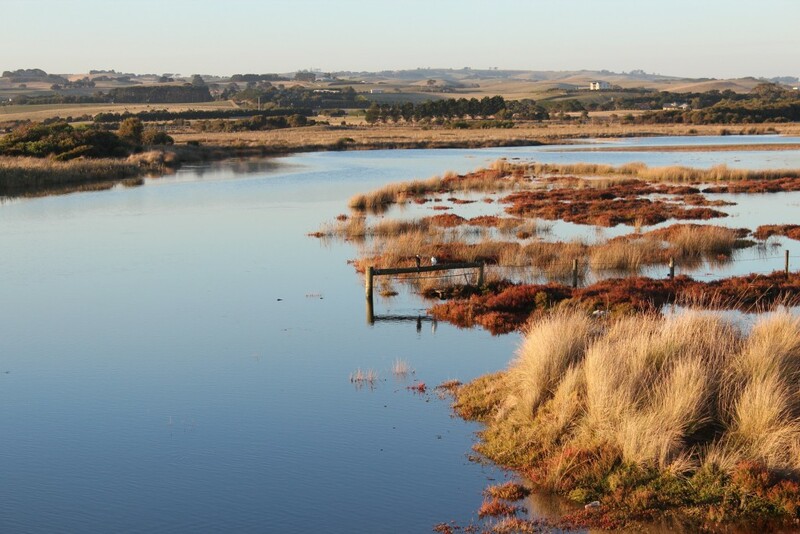 The WGCMA are responsible for monitoring the closure conditions, carrying out the risk assessment and making the decision whether to artificially open the estuary or not. Parks Victoria undertakes the artificial opening, if required and it is safe to do so, under our guidance. 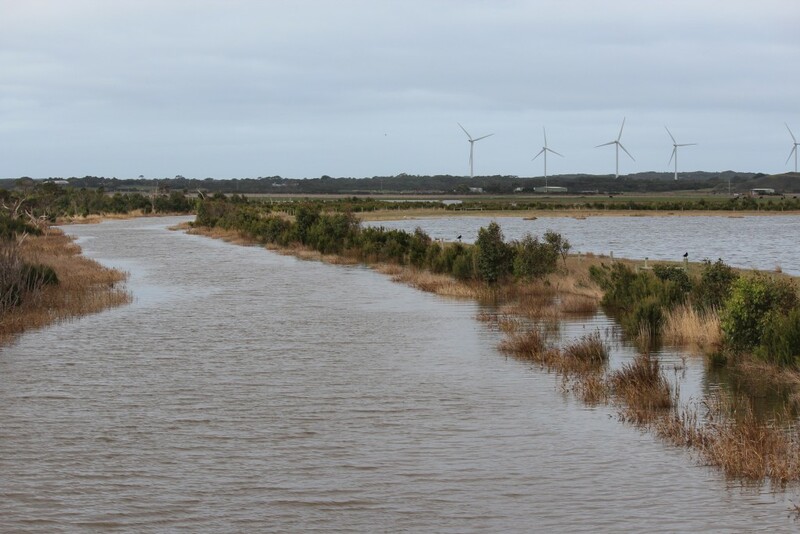 Bass Coast Shire Council manages the impacts associated with roadway flooding and landholder access to the eastern side of the Mouth of the Powlett Road bridge.